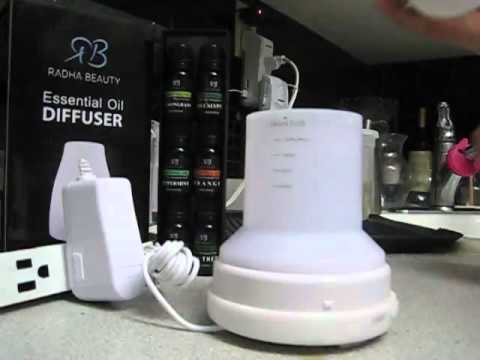 1 What is an Aromatherapy Essential Oil Diffuser? 2 Who Benefits From Aromatherapy? What is an Aromatherapy Essential Oil Diffuser? Aromatherapy is the ability to create a particular feeling or mood (peacefulness, relaxation, joy, etc.) by using scents. The scents used in aromatherapy are produced by high quality essential oils made from very concentrated extracts of plants such as eucalyptus and lavender, trees such as cedar wood and sandalwood, fruits such as lemons and oranges, and spices like cinnamon. 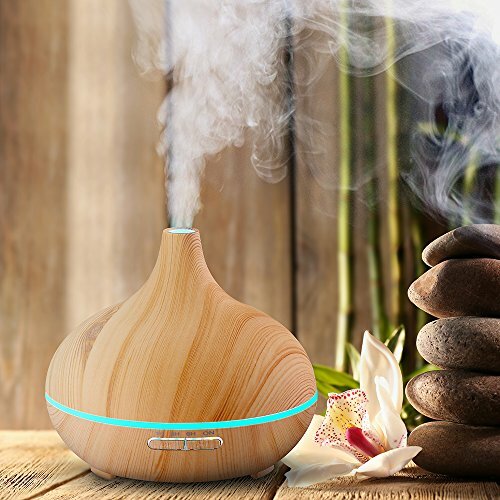 An essential oil diffuser used for aromatherapy is normally made by combining the oils with water. As a result, a fine mist is created, which makes a given aroma spread and linger pleasingly in an area. 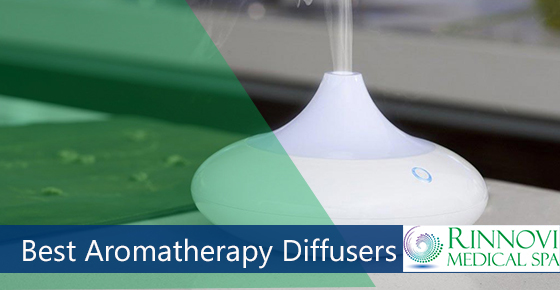 Most diffusers used in aromatherapy have lights, which often improve a person’s level of relaxation. Aroma therapists normally create a relaxing atmosphere in their consultation areas and waiting rooms. Because of this, they appear to be the best customers for aromatherapy diffusers. However, there are several other people who also find the diffusers useful and pleasing. 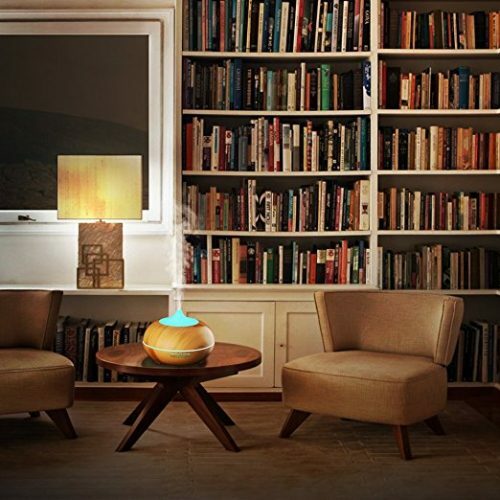 To be more specific, parents and teachers who would like to combat the ever-present odors of teenagers (particularly teen boys) will benefit from aroma therapy diffusers. The diffusers can also be used in a nursery to create a clean and fresh atmosphere throughout the room. People who have trouble sleeping can relax and drift off to slumber in no time by using aromatherapy diffusers with essential oils such as lavender throughout the night. Some people are more responsive to essential oils than others. If you start experiencing headaches or feel nauseous while using an aromatherapy diffuser, you may have to reduce the amount of oil you’re using. You may also have to immediately stop using a diffuser because you might be sensitive to essential oils. Make sure that the essential oils you’re using don’t contain harmful chemicals that can damage the inside part of the diffuser. The same chemicals may also trigger some sensitivity to anyone using the diffuser. When using an aromatherapy diffuser, the more water you use, the less mist is omitted (you may want to use less water so that you can enjoy relaxing). Use a diffuser that will spread the essential oils throughout the entire area. If you will be using a diffuser in a big room, get one with a larger reservoir. Although most aromatherapy diffusers have an auto-shut feature that prevents them from functioning when the reservoir doesn’t have any water, confirm that the diffuser you’re purchasing has it. The feature will save you from having to keep checking the water level in the diffuser every now and then. 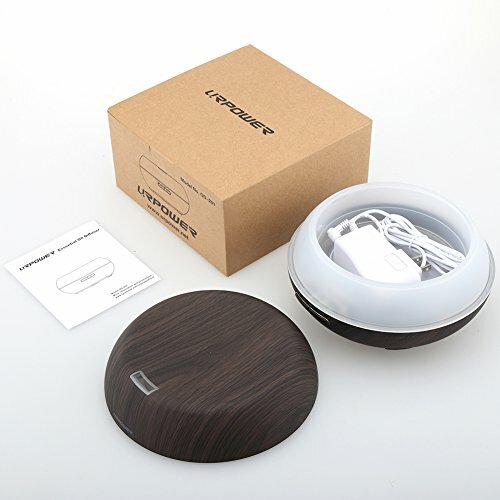 With its stylish blond wood grain effect, the UrPower essential oil diffuser has a natural, clean and simple focal point. This makes it ideal for a small room in your home or a professional therapy area. 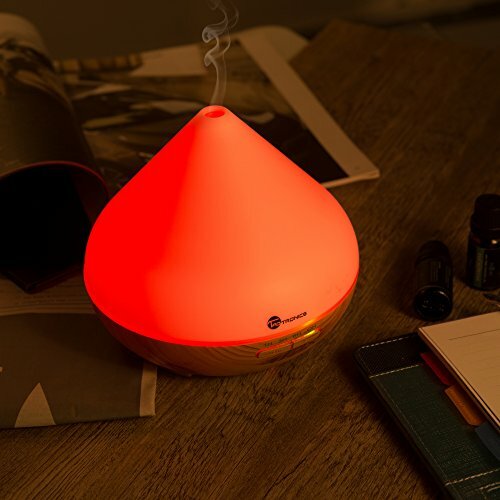 The diffuser has a night light feature (diffusing mist isn’t included) as well as a humidifier function. The humidifier is meant to help cleanse the air where pollutants and lingering smells such as cigarette smoke are present. The UrPower is easy to clean and made from high grade plastic. The plastic is coated in wood effect vinyl and NOT actual wood. If you’re looking for a unit made of solid wood, this model isn’t what you want. For what it is, the diffuser is a highly priced model. Though it isn’t made of actual wood, its functionality is fairly standard. Moreover, it is quite an attractive item. The Viva Naturals Aromatherapy diffuser has 3 settings; intermittent mist, continuous mist and lights only. 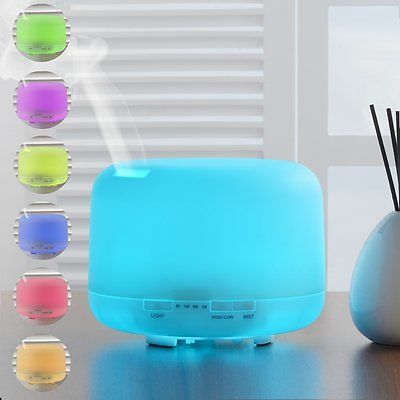 The diffuser come in 7 different colors to select from and has a rotating display. The diffuser is a small and affordable model which will be perfect for small areas such as bathrooms and offices. The Viva Naturals has an auto shut-off feature. This will allow you to peacefully enjoy your relaxation time without having to keep checking the level of water in the diffuser. Though the unit can be tricky to open and add oils and water, it is easy to clean. The diffuser isn’t meant for larger rooms. Viva Naturals is quite an affordable unit. If you have a small room, then is definitely the model you should go for. 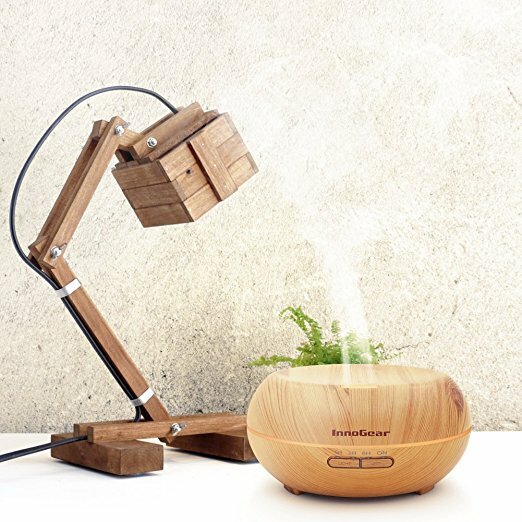 The InnoGear Essential Oil unit comes with a dark or lightwood color effect choice. The unit’s design is meant to complement any kind of décor. With it’s a cycle of 7 different colored lights and a mist output, the diffuser offers something that would suit various preferences. Pricewise, the InnoGear falls on the average range. Moreover, with the option of choosing either a dark or light colored unit, most people choose this diffuser over others. 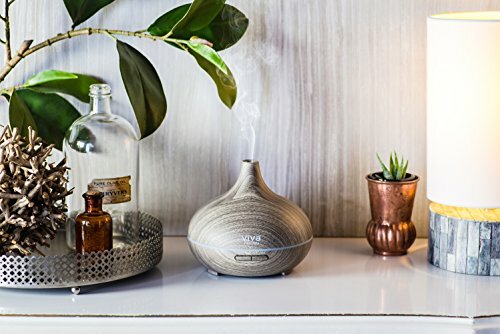 TaoTronics essential oil diffuser is a big, stylish unit whose capacity is meant to spread the pleasant aroma of essential oils across larger rooms. Its features include a light display of 7 different colors, a cool mist stream and an auto shut off capability that allows you to enjoy your relaxation time. However, the mist stream cannot be adjusted. Therefore, the mist will regularly be spread for long periods of time. This can cause mold to build up in small areas. The lid on the unit doesn’t fit flush. Moreover, its buttons are somewhat difficult to operate. Although the ToaTronics diffuser is an affordable unit meant for larger areas, it has several drawbacks which should be aware of. Overall, the dispenser is suitable for open spaces and larger areas. The VicTsing diffuser is available in 3 different colors; dark cherry, dark wood and light wood. The unit’s design is meant to perfectly blend in with your personal décor and style. The diffuser/humidifier is of a large capacity. Thanks to its compact design, you can place it on a desktop to let it covers your room with a refreshing, pleasant scent. Although the unit is marketed as a diffuser and humidifier, the humidifier part isn’t very good. This diffuser/humidifier is quite affordable, has a larger capacity and is stylish. If you’re not bothered by the unit’s humidifier function, it is something worth buying. The UrPower Ultrasonic breaks down the scent particles of essential oils using ultrasonic waves. The diffuser is one of the cheapest units available in the market. The diffuser allows you to choose between continuous and intermittent mist settings. Moreover, it comes with 7 different colors of light display. Despite all these, the UrPower still has some drawback. For example, it is prone to leakage. Also, after the light display has been switched off, you’ll see some residual glow. This can be disruptive for people who want to use the diffuser while sleeping. The unit also doesn’t have a good coverage of scents. 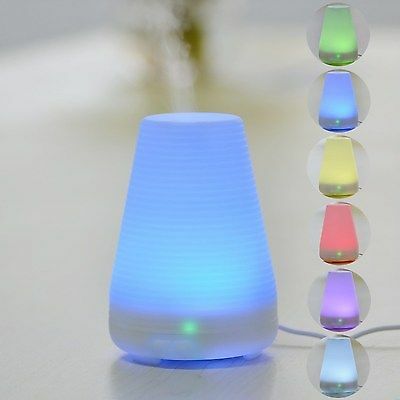 While the price of the unit may excite most people, there are better aromatherapy diffusers available in the market at just a few more dollars. Unlike some of the units with a larger capacity, the UrPower diffuser features a 3-in-1 functionality; a diffuser, humidifier and night light. According to the manufacturer, the diffuser should be cleaned on a weekly basis. The diffuser comes with an auto shut-off feature and a four timer setting that allows you to ‘set and forget’ it as you enjoy your relaxation time. On the other hand, not much effort was put towards designing the unit. This is unfortunate as there are other stylish and pretty affordable diffusers in the market. 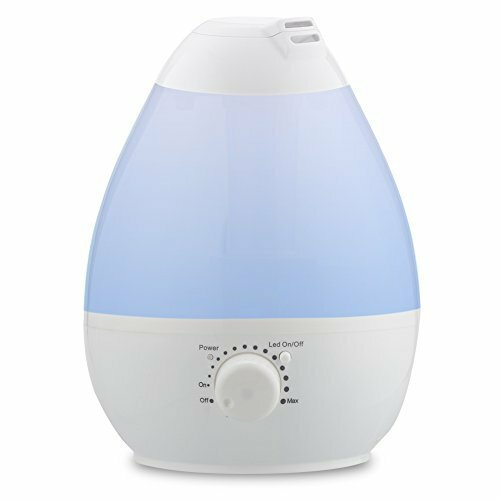 This unit is perfect for someone looking for aromatherapy diffuser to help them get some sleep, especially since the settings have a 10-hour run time. If you’re looking for diffuser that you can use in public areas, then go for a smaller and stylish unit. Radha Beauty diffuser is a very affordable unit that comes with a light display of 7 colors and has an auto shut-off feature. The unit isn’t particularly powerful and would be perfect for an office cubicle or a smaller bathroom. The Radha unit can be difficult to fill since it’s awkward to open and close. Also, the unit’s power supply light indicator is pretty bright and remains on. Thus, you might find the light be disruptive when using the diffuser for sleeping purposes. A slight drawback of the unit is the awkwardness of opening and closing it. If you want a more user-friendly unit, you should be willing to spend a little more money. This essential oil diffuser uses ultrasonic power and comes with a measuring cup. You can use the cup to make sure that you’re adding the right amount of water. Although this isn’t an easy unit to clean, it is functional, affordable and very attractive. A lot of effort is needed when it comes to cleaning this unit. Other than that, it’s a good and affordable diffuser. 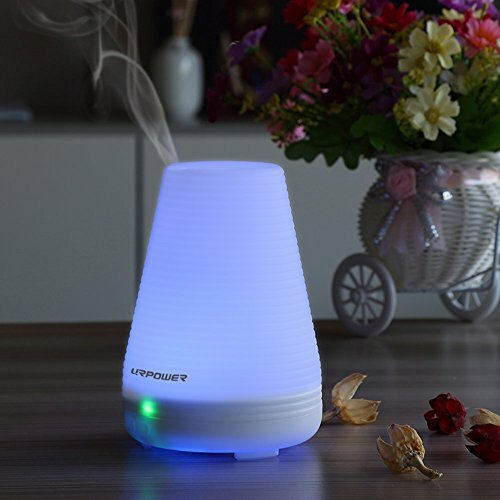 This diffuser is an updated UrPower version that has more mist than the previous one. The unit comes with an auto shut-off feature and a measuring cup. You can use the cup to add the right amount of water so that you can enjoy your relaxation time without having to keep checking on the unit. With the two mist settings, the diffuser is perfect for smaller areas. However, it sometimes can be difficult to open. This is the perfect diffuser for smaller areas. Moreover, it is very affordable.